Earn $5.51 in Rewards credit (551 points) What's This? Make that a double, please. 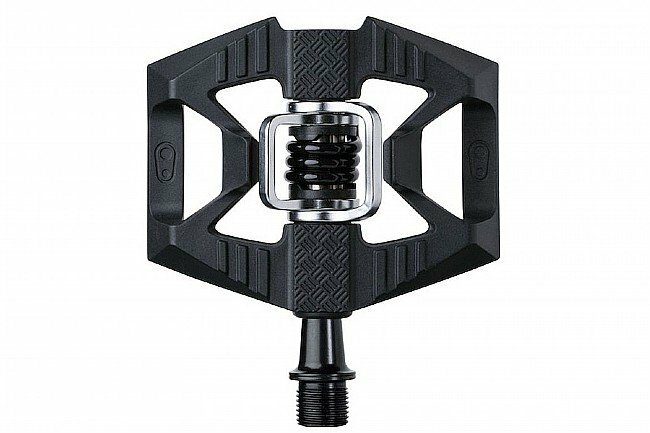 The Crank Bros Double Shot 1 Pedals are a versatile hybrid pedal, offering a comfortable and grippy platform that includes Crank Bros' clip-in interface. With a durable composite body, the platform is designed for versatile, comfortable pedaling. Featuring molded pins and ribs for grips, diamond plate pads for traction, and superior mud shedding. 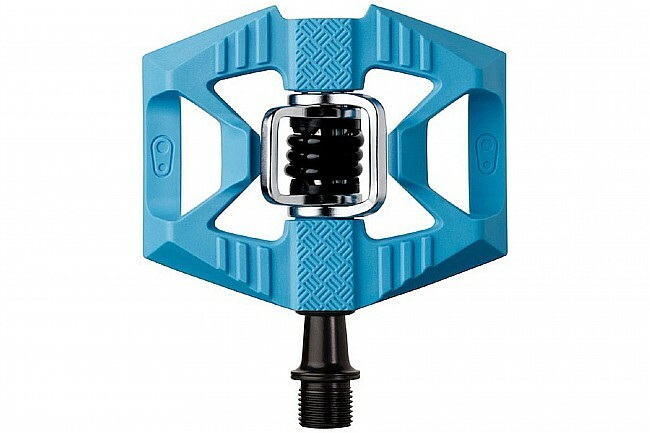 At the center, Crank Bros' clip-in interface provides secure retention when using cycling shoes. 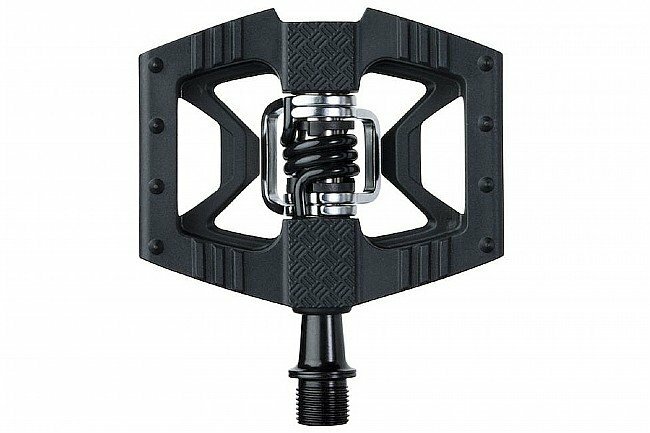 Hybrid pedal half flat / half clip-in. Composite body with molded pins and ribs for grip. Diamond plate pads for traction. 2-sided entry with superior mud shedding. Premium bearings and double seal system. Release angle: 15º / 20º. Claimed weight: 331g per pair. Got these for my wife's hybrid- she has double sided Crank Bros on her road bike- these are a great compromise for riding around town- use bike shoes or any other shoes. As a bonus, I can ride her bike now!